The latest One Piece manga is out and in the above image from the magazine, there is what looks like an artist mistake. Try spotting it. Go on. Do it. For those who weren't able to notice the mistake, Twitter user Takumi created this explanation (below), which has been retweeted over 9,500 times. Here's an arrow in case you still cannot see it. 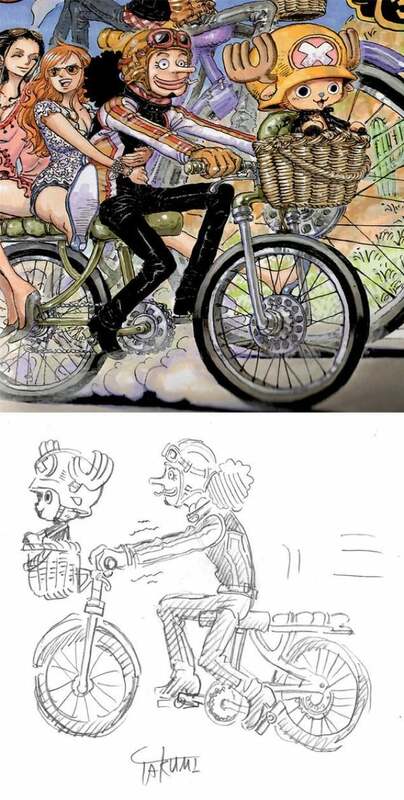 That's right, Usopp's bicycle is, oddly, disjointed. The bicycle doesn't have a frame. 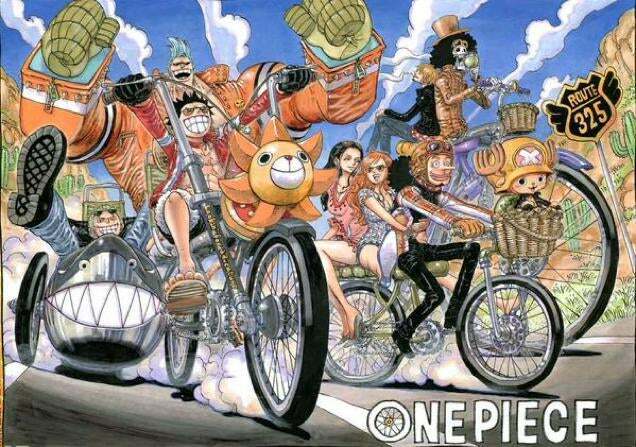 That's because pirates don't need a bicycle frame. But hey, no biggie! 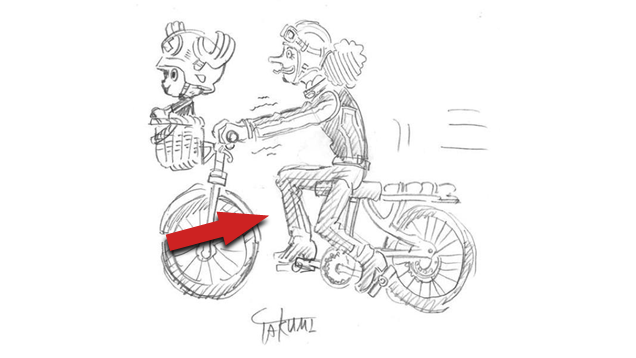 With One Piece creator Eiichiro Oda's gruelling schedule, mistakes are bound to happen.